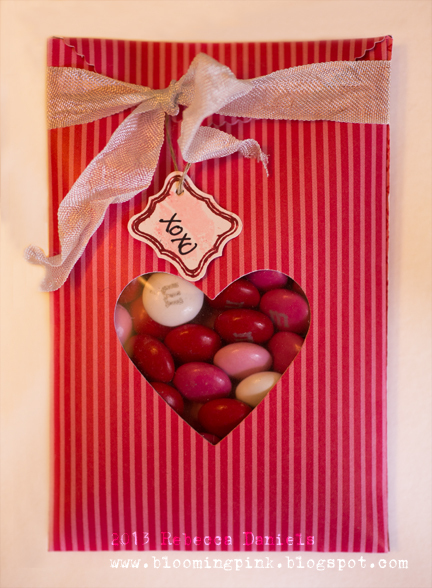 I have been working on a bunch of little Valentine treats this weekend! This is another version of the one I did the other day. I've decided to post this to the 3GirlJam Challenge! Here's a card that I made for my friend's birthday. 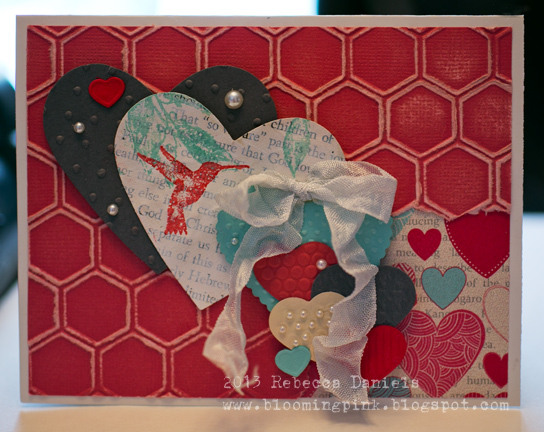 I had made a very similar card for my husband's Valentine's Day card (Shhhh...don't tell him), but this one has a boatload of hearts varying in size, texture, and color! I have to say, I really like the next honeycomb embossing folder and the Core'dinations card stock from Stampin Up!